Venezuelan refugees are fleeing their country and spreading previously eradicated diseases to thousands in Brazil and Colombia, The Wall Street Journal reports. Amid Venezuela’s ongoing economic collapse, residents are fleeing the country to find treatments and cures for diseases thought to be nearly wiped out. Venezuela’s economy has shrunk by half since 2013 and rolling blackouts and brownouts plague the power grid. Basic services such as water delivery and early vaccinations are lacking in many parts of the country. “In Venezuela there are at least three epidemics at work, measles, diphtheria and malaria. The crisis is big,” infectious diseases expert Alejandro Risquez, who teaches medicine at University Hospital in Caracas, told WSJ. Yellow fever, dengue, tuberculosis and the virus that causes AIDS are also plaguing the country and surrounding communities where immigrants flee to, WSJ reports. Doctors who speak out about Venezuela’s worsening crisis are fired or threatened with arrest, and the government has largely stifled its publishing of health and mortality statistics since 2015. 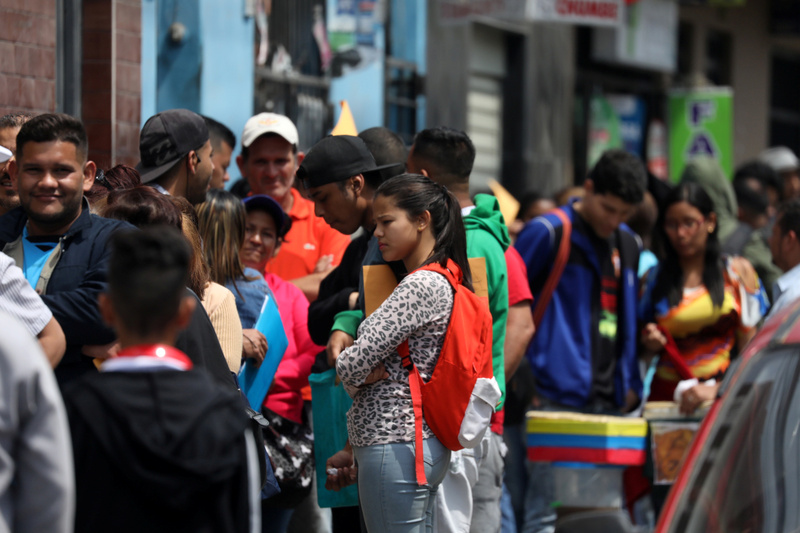 Somewhere between 1.8 and 4 million Venezuelans are expected to seek medical treatment in Columbia by 2021, Columbia’s government estimates according to WSJ. President Donald Trump announced more sanctions on Venezuelan President Nicolás Maduro’s socialist regime Thursday. The new sanctions target the country’s gold sector and limit the immigration of certain people from Venezuela. “Unrestricted immigrant and nonimmigrant entry to the United States … would be detrimental to the interests [of the U.S.],” Trump’s executive order says.